You can wait in line, throw elbows and scramble for deals at the superstore. Or you can spend Black Friday in the pleasant confines of the Fond du Lac Public Library and get a great deal. 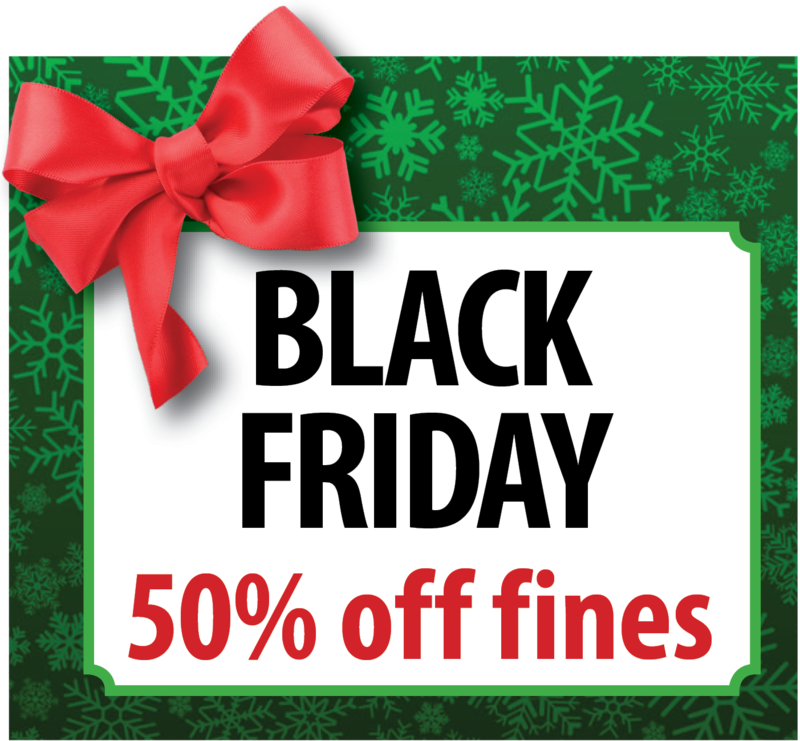 On Friday, November 23, the downtown Main Library will offer half off all fines, 9 a.m. to noon. No restrictions. Pay half your fees – overdue, lost, damaged, etc. – and clear your account. These payments must be made at the downtown library’s Main Desk or by phone at (920) 322-3920.